When a nationwide arts organization called Common Field begins operations in early 2015, and previously unseen artworks by Andy Warhol start to emerge in 322 art museums in 48 states, the world of contemporary art will be seeing fresh evidence that the Andy Warhol Foundation for the Visual Arts is entering a new phase in its life. The Foundation has announced that it has brought to a close its long-term program of making gifts from the immense collection of artworks by Andy Warhol that it acquired following the artist’s death in 1987. The Foundation has now revealed that the third and last major round of its gifts, completed in late 2014, will set off what is likely to be the largest wave of exhibitions ever dedicated to a single artist. A total of 322 institutions that benefited from the final round, including 183 college and university art museums and galleries, are committed to exhibiting their new Warhol materials, most of which have never been shown in public before. Meanwhile, the Foundation’s grant-making has enabled the formation of Common Field, a new national network raising the visibility and viability of experimental contemporary visual art organizations across America. The Foundation today announced its most recent donation to this project, a two-year grant of $300,000, which will support the launch in early 2015 of a networking website, national meetings, field research and the development of resources for Common Field members. After giving away more than 50,000 artworks by Andy Warhol and making approximately a quarter of a billion dollars in cash grants, the Foundation is now approaching its 30th anniversary with a renewed focus on grant-making programs, as seen in the grassroots activity it is seeding through Common Field and the exhibitions resulting from its last round of gifts. The Foundation is proud to be the catalyst and lead funder of Common Field, an organization established to connect and strengthen grassroots, artist-run spaces and projects across the United States. Common Field grew out of the foundation’s long-term investment in the small to mid-sized visual arts organizations that are the backbone of support for emerging artists all around the country. It will be launched in early 2015 with the assistance of a major Foundation grant. Common Field was founded by Elizabeth Chodos of Ox-Bow in Saugatuck, Michigan, Courtney Fink of Southern Exposure in San Francisco (who is also a member of the Warhol Foundation board), Nat May of SPACE Gallery in Portland, Maine, Abigail Satinsky and Shannon Stratton of Threewalls in Chicago and Stephanie Sherman of Elsewhere in Greensboro, NC. All six were involved with the Warhol Initiative, an invitational program that was originated and run by the Warhol Foundation from 1999 through 2012 to build the capacity of small and mid-sized artist-centered organizations. With the assistance of the Warhol Foundation, the core group brought together another 25 leaders of independent art spaces and artists’ projects for a retreat at Ox-Bow in Saugatuck. The result of that meeting was the plan for Common Field, with an initial membership of 20 organizations and Abigail Satinsky and Stephanie Sherman as co-directors. The Foundation began its donations of artworks by Andy Warhol by helping to create the Andy Warhol Museum in Pittsburgh. The museum opened in 1994 with a core collection comprising more than 8,600 works, now valued in the billions of dollars, that it received from the Foundation. A second round of gifts of 29,314 photographs to 190 American university art museums, known as the Andy Warhol Photographic Legacy Program, marked the Foundation’s 20th anniversary. In the third and final major round of gifts, made from 2013 through late 2014, the Foundation distributed 14,847 works by Andy Warhol to 322 museums, large and small, in North America and abroad. As part of the condition of the gifts, each of the institutions is committed to exhibiting the materials received. The Foundation continues to sell works by Andy Warhol through its arrangement with Christie’s in order to increase its endowment and advance its mission to support artists. Leading the final round of gifts is the donation of Andy Warhol’s entire archive of 4,115 photographic negatives and 3,624 contact sheets to the Cantor Arts Center at Stanford University. Selected through a competitive process to receive the donation, the Cantor Arts Center will digitize the full archive, make it accessible online and develop cross-departmental curricula and programs using the materials. The University is engaged in fundraising to establish a restricted endowment for staff, storage, conservation and digitization and is planning an exhibition and international symposium for 2017, on the 30th anniversary of Warhol’s death. Materials that have been donated elsewhere include Family Albums (large groups of Polaroid photos that Warhol took and assembled into photo albums); Little Red Books (smaller groups of Polaroid photos that Warhol assembled into red photo albums); and “unstitched-stitched” photos. The latter are made from photographs that Warhol had set aside for his assistant Michelle Loud to stitch together into grids. The Foundation recently hired Philadelphia’s Fabric Workshop to assemble the unsewn photographs left to the estate, making them into works that are posthumously stitched (and stamped as such on the verso). The Foundation has given 87 unstitched-stitched photos, 49 single photos from the unstitched-stitched collection and 42 Little Red Books to the Cantor Arts Center and 10 international institutions. The international recipients are Centre Pompidou, Moderna Museet, Museo Nacional de Arte Reina Sofia, Museo Tamayo, Museum Ludwig, Museum of Contemporary Art Tokyo, Pinacoteca do Estado de São Paulo, Stedelijk Museum, Tate and the Tel Aviv Museum of Art. The Foundation has given a Family Album to each of six institutions (totaling 2,956 Polaroids): the Whitney Museum of American Art, the Nelson-Atkins Museum, the Philadelphia Museum of Art, George Eastman House, the Museum of Fine Arts Houston and the Portland Art Museum. The Foundation has given 111 Little Red Books (a total of 2,187 Polaroids) to 110 art museums located primarily in North America, from Akron to Worcester. The Foundation has also given 1,239 Extras (from the Regular Editions Prints and Extra Trial Proofs) to 183 U.S. college and university art museums and galleries. Finally, the Foundation has given 14 Silver Cloud sculptures to the Walker Art Center. In total, the Andy Warhol Foundation for the Visual Arts has now donated more than 52,786 works of art to 322 institutions worldwide. The Andy Warhol Foundation for the Visual Arts was established in 1987. 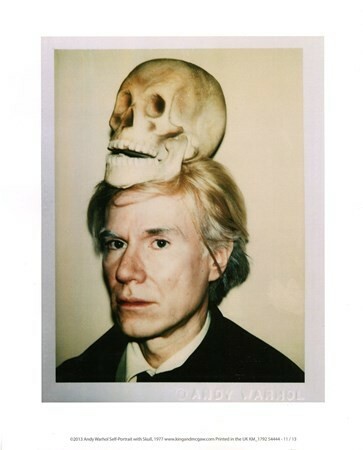 In accordance with Andy Warhol’s will, its mission is the advancement of the visual arts. The primary focus of the Foundation’s grant-making activity has been to support the creation, presentation and documentation of contemporary visual arts, particularly work that is experimental, under-recognized or challenging in nature. The program has been both pro-active in its approach to the field of cultural philanthropy and responsive to the changing needs of artists. A strong commitment to freedom of artistic expression continues to inform the Foundation’s support of organizations that fight censorship, protect artists’ rights and defend their access to evolving technologies in the digital age. Through cooperative exhibitions, loans and permanent placement of work in museums, the Foundation has ensured that the many facets of Warhol’s complex oeuvre are both widely accessible and properly cared for. In helping to establish the comprehensive collection and study center of The Andy Warhol Museum in Pittsburgh, the Foundation paved the way for new Warhol scholarship and curatorial innovation. The Foundation’s sustained support and oversight of thoroughly researched, extensively illustrated catalogues raisonnés of Warhol’s entire artistic output continues to expand the possibilities for scholarship about his work. The Foundation has used its ownership of the copyrights to Warhol images and trademarks to his name and signature as an opportunity to craft creative and responsible licensing policies that are both friendly to scholars and artists wishing to use Warhol images for educational and creative purposes and profitable to the Foundation when the images are used for commercial purposes. Revenues from licensing agreements add significantly to those earned through the continued sale of work from the Foundation’s art collection, enabling the Foundation to build the endowment from which it makes cash grants to visual arts organizations around the country. More information about the Foundation is available at www.warholfoundation.org.